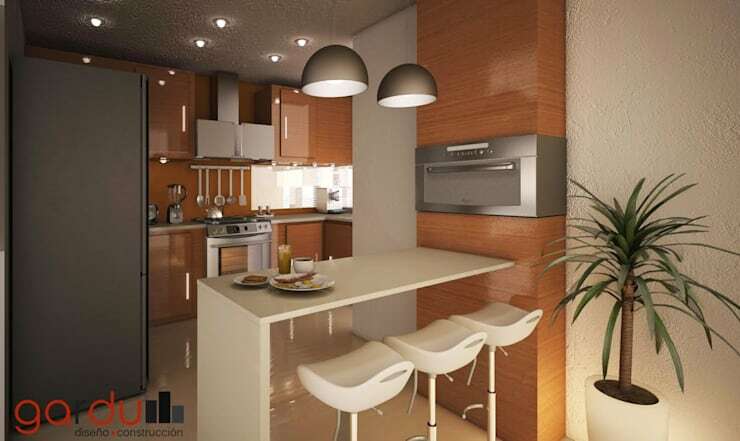 Kitchens are spaces that represent the tastes and needs of each owner. 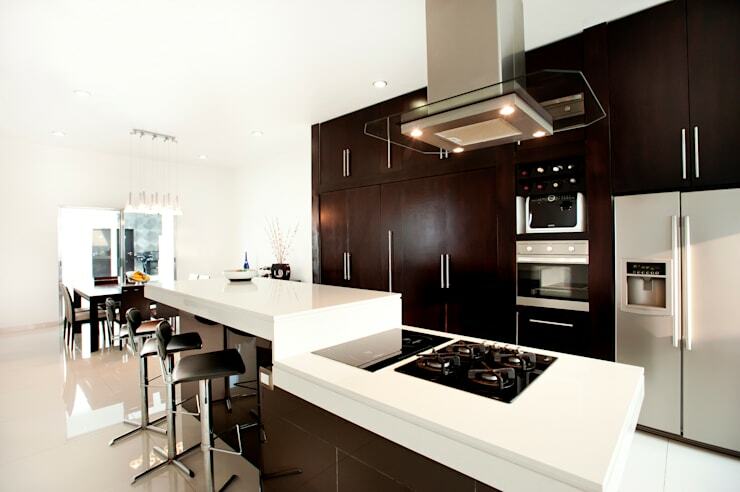 The space, style, trends and functionality need to be adapted to the owner's needs. 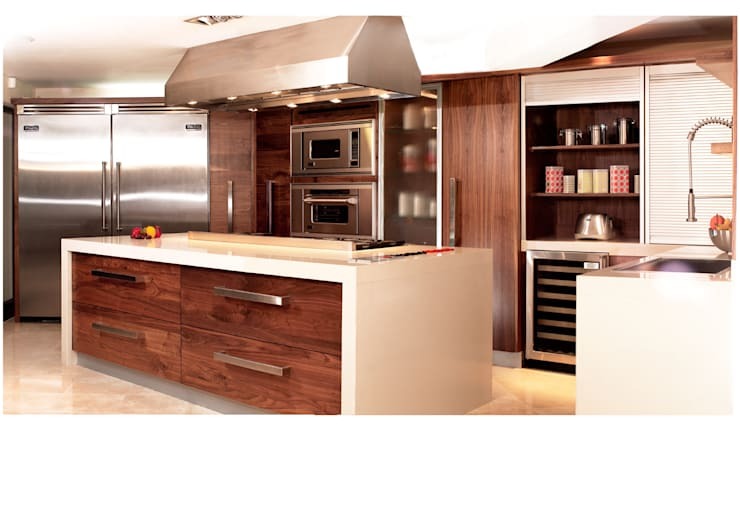 One of the materials that can be found in almost any kitchen is wood! It is excellent quality and gives texture and tone to the environment. It is also suits any style, especially modern designs! Whether its for the furniture, the cabinets, the floors or the ceiling beams, wood can become the main material for this part of the home. 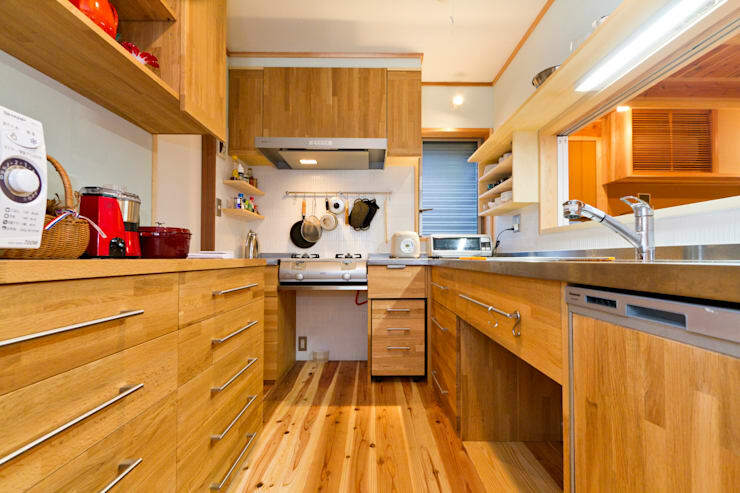 To prove it you, we've put together 20 spectacular wooden kitchens. Keep a special eye out for number 10! 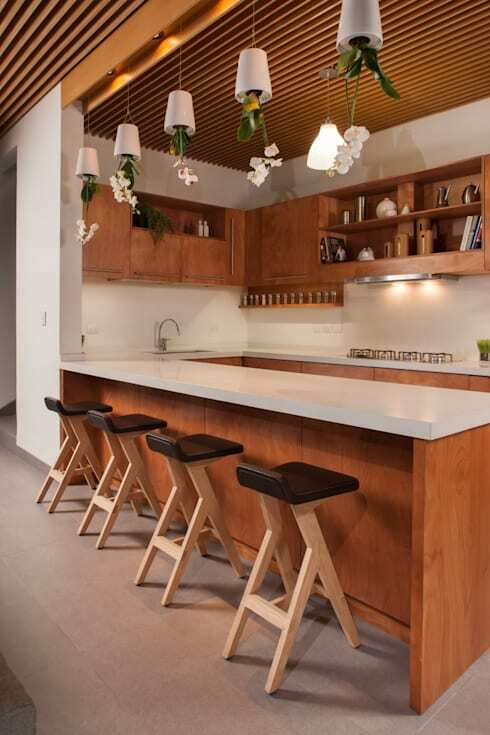 In this kitchen, wooden panels have been used across the ceiling and for the cabinets and cupboards. It generates a very warm atmosphere without overwhelming it. Although the furniture in this kitchen is simple, a rustic style seeps in. This is a wonderful combination of styles. For the more traditional, light wood can be used to introduce a more conservative look and feel. Simple can be the most effective. Thanks to its beauty and resistance, wood is a material that steals the show. If you have a kitchen island, even better! The light wood brightens and gives a sophisticated look and feel to this environment. 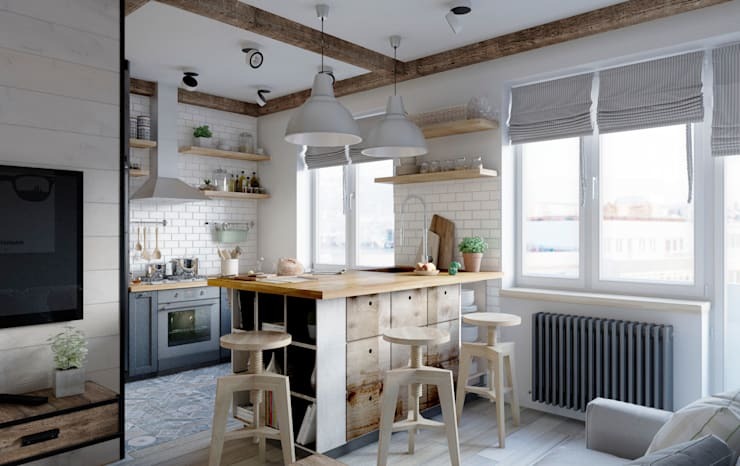 If your kitchen is small, use light wood with white tones. 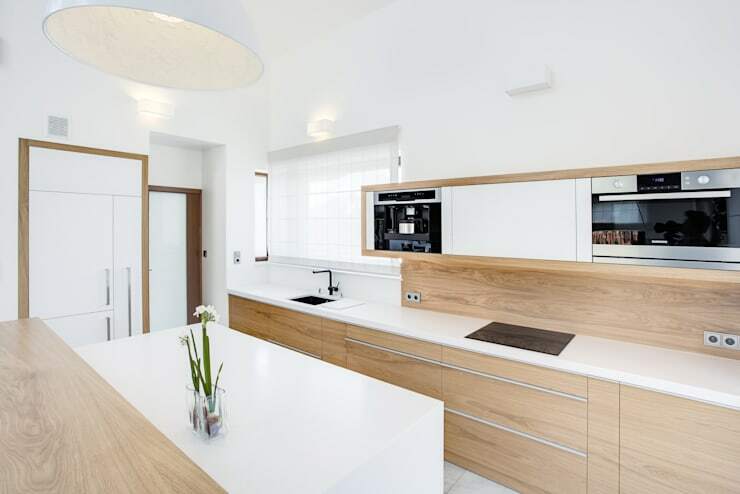 What makes this kitchen so impressive is how the wooden tones work in harmony with the white finishes. Once again we can see how well these colours work together. Combined with black, this is a very masculine and elegant design. 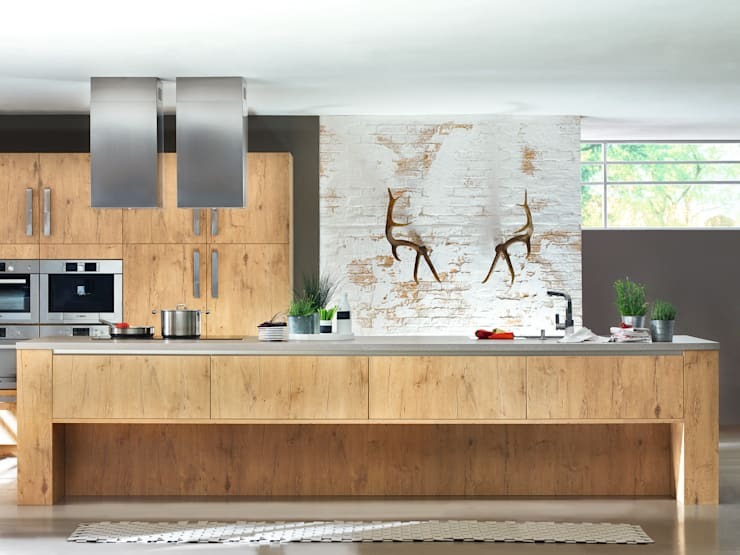 Changing the colour and texture of the wood is easy and it can change the whole style of the kitchen! Combine dark wood with white finishes for a stark contrast. 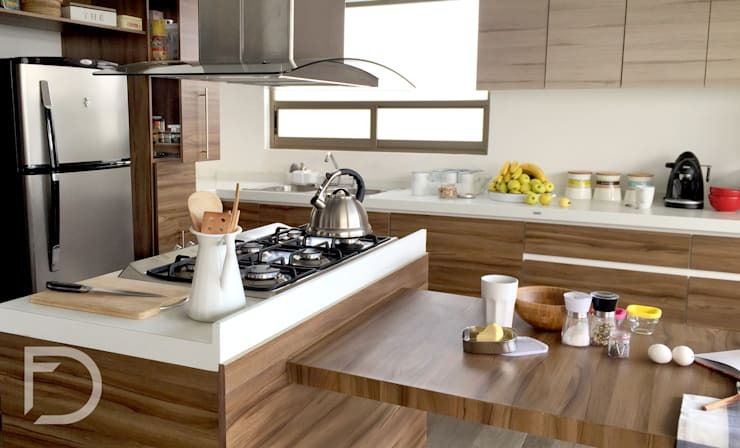 Wood is also a wonderful material for kitchen furniture, creating a charming environment. This is a different and unusual environment where industrial style works with wooden finishes. 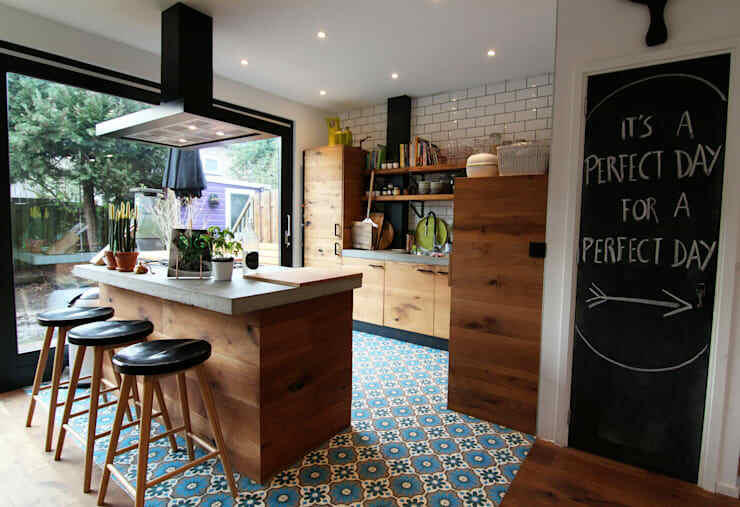 You can really create a personalised cooking area! Sometimes exposed structures are a hindrance, but if they are designed correctly they can enhance the entire space. 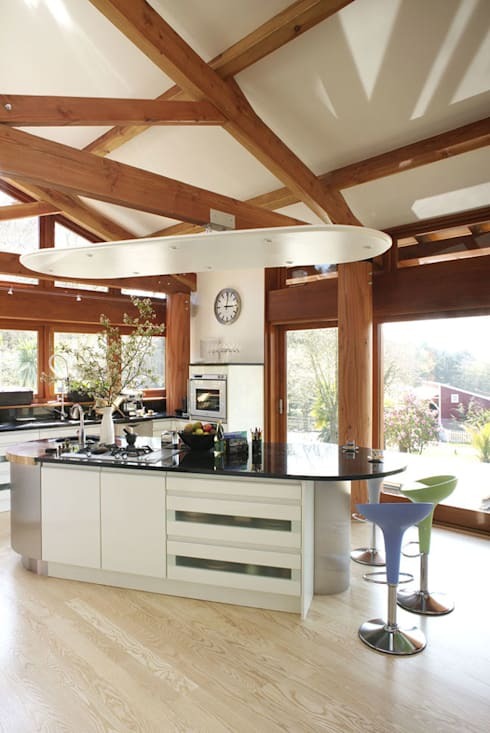 Don't you love these wooden ceiling beams? 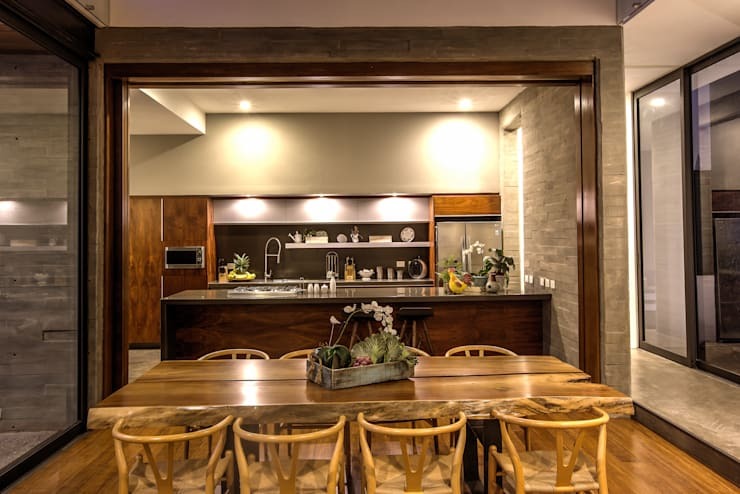 A dining room made with wood is a wonderful addition to a kitchen, highlighting the beauty and warmth of the space. 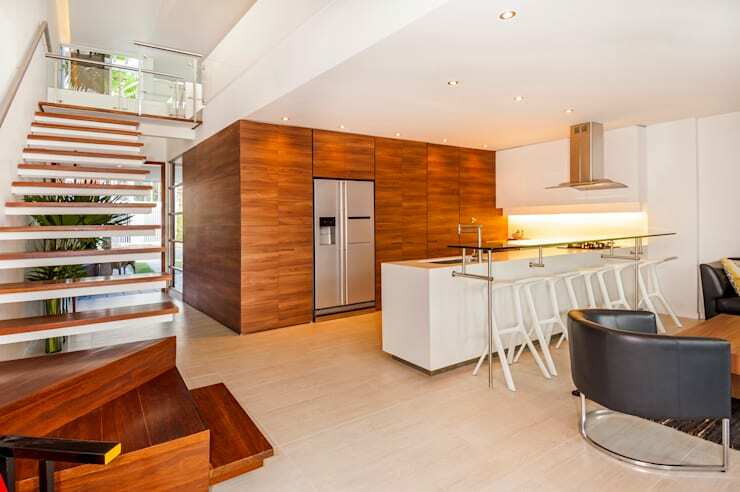 This modern kitchen features laminate floors with marbled wooden cabinets and counters, mixing texture and tone. 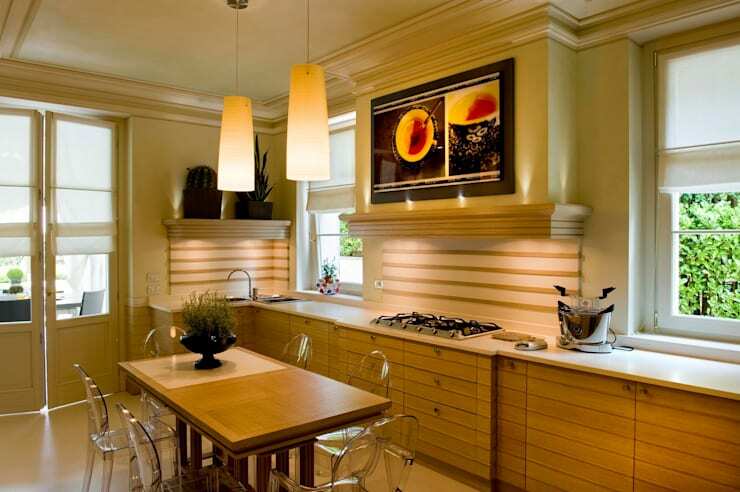 This breakfast bar introduces wooden into the environment, adding to the eclectic style of the kitchen. Don't you love the funky wooden seats? Wood can be used with ceramic tiles to create a balance between vintage and modern, like we see here. The white tones in this kitchen represent purity, freshness and luminosity. It also makes the kitchen seem that much more spacious. Natural streaks and variations in the wood will give this space a very organic and unique look and feel. 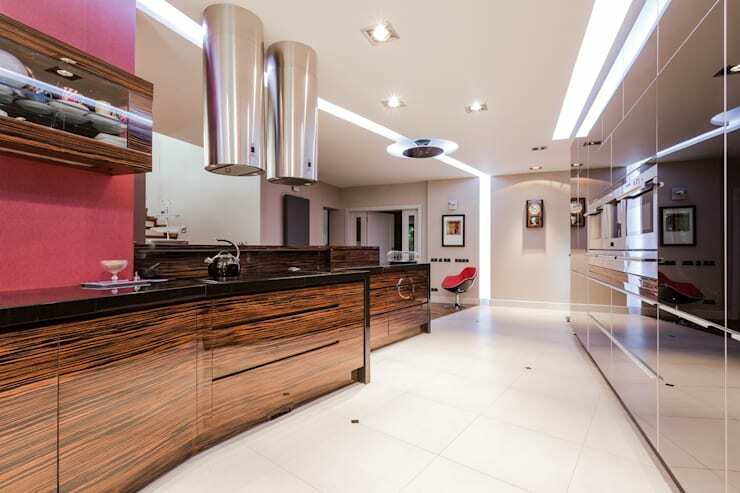 You can also opt for laminates or cheaper coatings, which mimic the attractiveness of wood. Use wood for shelves or cupboards on the wall. It is easy to customize and can make for a very warm and modern space. Continuous coatings, whether horizontal or vertical, evoke a sense of elegance and good taste. Here we can see how it creates a very uniform look and feel. 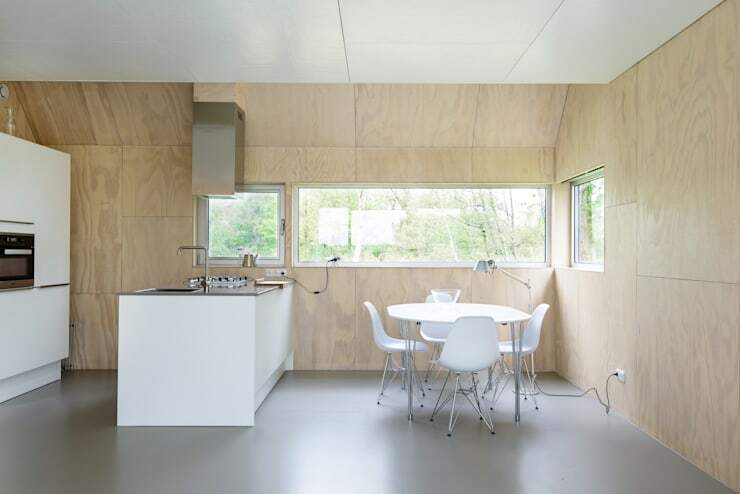 Wood also works in a minimalist environment, as we can see here! 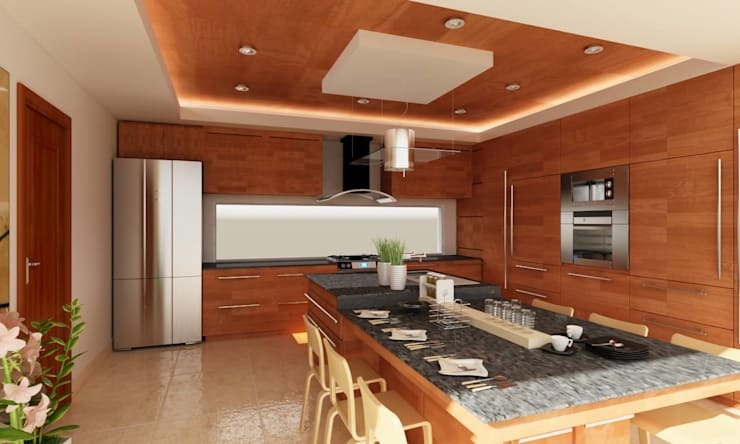 We have to show you this last kitchen, which accentuates warmth and a natural look and feel. If you are a nature lover, this wooden design is a must! 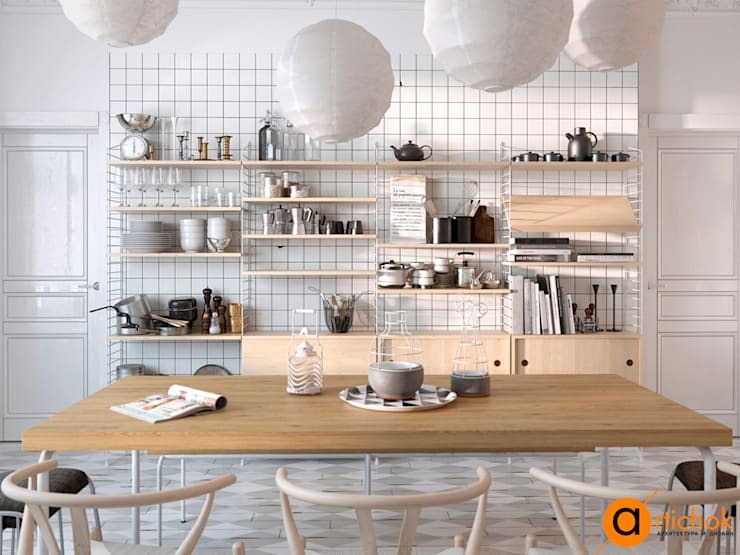 Also have a look at these tips for integrating wooden elements into your home. 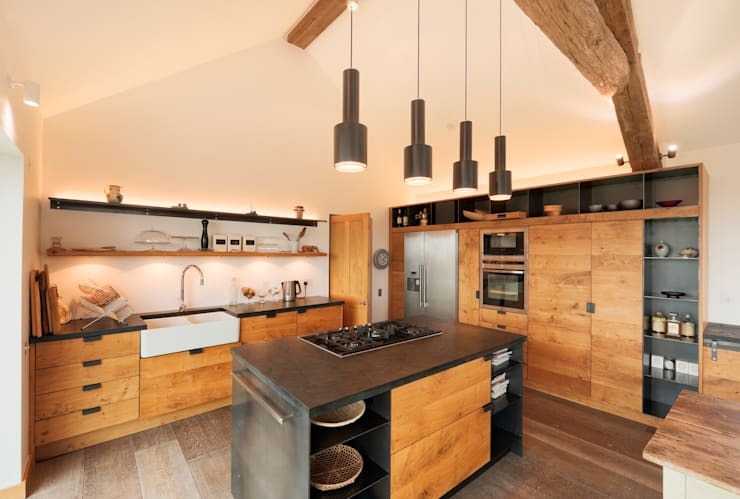 Which is your favourite wooden kitchen?